The eleventh report of the Conservation Trust Fund Survey (CTIS) series has been released and is available for download. The report covers the performance of Conservation Trust Funds during the calendar year of 2017 and relies on information provided by 36 Funds from Africa, Latin America, the Caribbean, Europe, and Asia-Pacific about endowments and sinking funds. 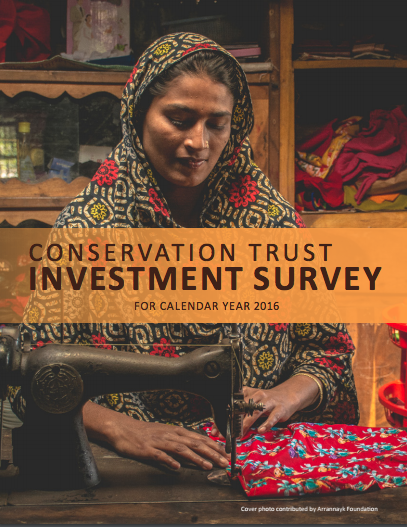 The tenth report of the Conservation Trust Fund Survey (CTIS) series has been released and is available for download. The report covers the performance of Conservation Trust Funds during the calendar year of 2016 and relies on information provided by 38 Funds from Africa, Latin America, the Caribbean, Europe, and Asia-Pacific about endowments and sinking funds. The ninth report of the Conservation Trust Fund Survey (CTIS) series has been released and is available for download. The report covers the performance of Conservation Trust Funds during the calendar year of 2015 and relies on information provided by 34 Funds from Africa, Latin America, the Caribbean, Europe, Asia and Oceania about endowments and sinking funds. 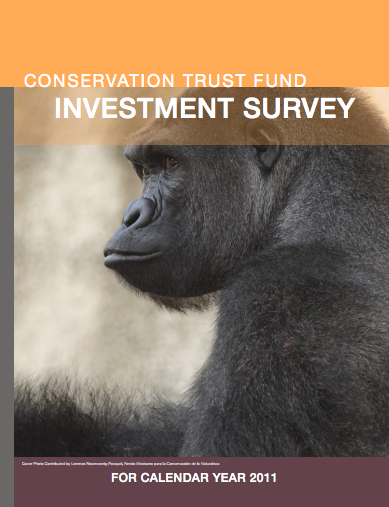 The eighth report of the Conservation Trust Fund Survey (CTIS) series has been released and is available for download. The report covers the performance of Conservation Trust Funds during the calendar year of 2014 and relies on information provided by 35 Funds from Africa, Latin America, the Caribbean, Europe, Asia and Oceania about endowments and sinking funds. 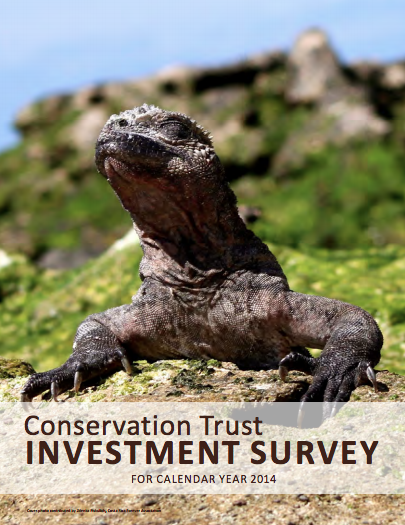 The seventh report of the Conservation Trust Fund Survey (CTIS) series has been released and is available for download. The report covers the performance of Conservation Trust Funds during the calendar year of 2013 and relies on information provided by 43 Funds from Africa, Latin America, the Caribbean, Europe, Asia and Oceania about endowments and sinking funds. 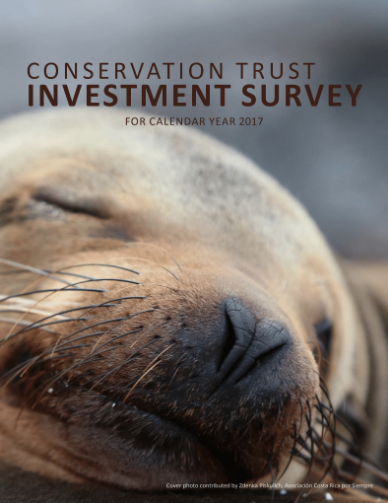 The sixth report of the Conservation Trust Fund Survey (CTIS) series has been released and is available for download. The report covers the performance of Conservation Trust Funds during the calendar year of 2012 and relies on information provided by 36 Funds from Africa, Latin America, the Caribbean, Europe, Asia and Oceania about endowments and sinking funds. The fifth report of the Conservation Trust Fund Survey (CTIS) series has been released and is available for download. The report covers the performance of Conservation Trust Funds during the calendar year of 2011 and relies on information provided by 31 Funds from the Americas, Africa, and Asia about endowments and sinking funds. The fourth report of the Conservation Trust Fund Survey (CTIS) series has been released and is available for download. The report covers the performance of Conservation Trust Funds during the calendar year of 2010 and relies on information provided by 31 Funds from Africa, Latin America, the Caribbean, and Asia about endowments and sinking funds. The third report of the Conservation Trust Fund Survey (CTIS) series has been released and is available for download. The report covers the performance of Conservation Trust Funds during the calendar year of 2009 and relies on information provided by 39 Funds from Africa, Latin America, the Caribbean, and Asia about endowments and sinking funds. The second report of the Conservation Trust Fund Survey (CTIS) series has been released and is available for download. The report covers the performance of Conservation Trust Funds during the calendar years of 2007 and 2008 and relies on information provided by 34 Funds from Africa, Latin America, the Caribbean, Europe, and Asia about endowments and sinking funds. 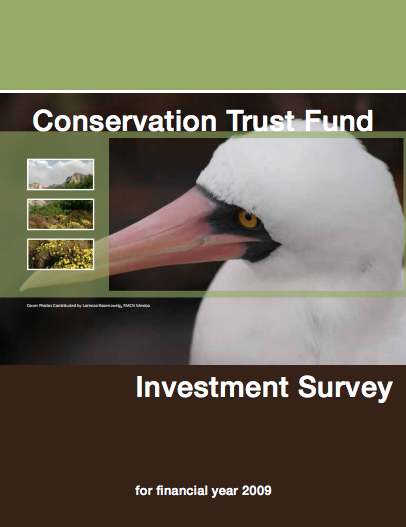 The first report of the Conservation Trust Fund Survey (CTIS) series has been released and is available for download. The report covers the performance of Conservation Trust Funds during the calendar year of 2006 and relies on information provided by 25 Funds from the Americas, Africa, and Asia about endowments and sinking funds.